Anonymous, 11 Dec 2014I'm unable to charge my tablet and I don't know what causes It to be like that and the battery... moreI had battery issues and it was a new battery that was required - there are places that can replace it for you for about £40 - my P1000 tab is like new again now! patrick, 01 Dec 2014is minecraft pe is compatible of that tablet ? and why clash of clan is not playable for this tab ?To be able to play COC u should install customized rom. I have mine Cyanogenmod installed running andoroid jelly bean..it can now run coc.. The specs sheet already answered that, yes, it has Wi-Fi hotspot. No, it does not have Wi-Fi Direct, that functionality was not introduced until later devices. is minecraft pe is compatible of that tablet ? and why clash of clan is not playable for this tab ? So Tab p1000 have problem yes or no? if yes can u tell me? Tab p1000 have hotspot and wifi direct? if dont can we install it? how did you update to cynogenmod? Hi is there any problem if i upgrade my android tab to kitkat? like software crash or app crash or motherboard crash. please tell me i want to upgrade. 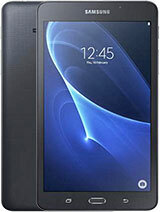 hi, just want to ask the best and stable OS for Galaxy Tab GT-P1000, and any resolution to issue of battery jump drain?. loly, 26 Sep 2014Hi...soon i'll buy galaxy tab...just tell me, is there any big broblems???? many friends told ... moreno, it's very good... but it's old now... but still good. I am pulling my hair out because the browser always closes when opening any website with lots of Flash ad, due to it's lack of RAM. So it's useless. I only use it for game like Temple Run and Flappy Bird nowadays. Please tell me the procedure that hot to update the samsung galaxy p100 Android v2.2 (Froyo) to v2.3 (Gingerbread)..
Upgraded from Froyo 2.2 to Gingerbread 2.3.6 via Kies(official). Now programs like Skype and YouTube are supported which was not the case with Froyo . chuck, 05 Jul 2014what if in case it hangs? and its starting to get hot?if always hang, try to turn on safe mode on your device. it will disable the 3rd party application from application manager. dont have to worry because this steps will not delete your data or uninstall the apps. always clear ram and close running applications from task manager. uninstall any 3rd party that can cause harm to your tablet. you can upgrade firmware to enhance performance. last choice, do factory reset/hard reset.